With over $70B in channel discounts and incentives forecasted to be spent in 2016, company finance executives are asking about the return that is generated on these investments. The traditional response “this is the cost of doing business” is no longer acceptable and finance executives are expecting their channel peers to define how ROI will be generated, tracked, and reported. The problem with generating and measuring channel incentive program ROI is that that most programs don’t target all potential growth areas from their partners. 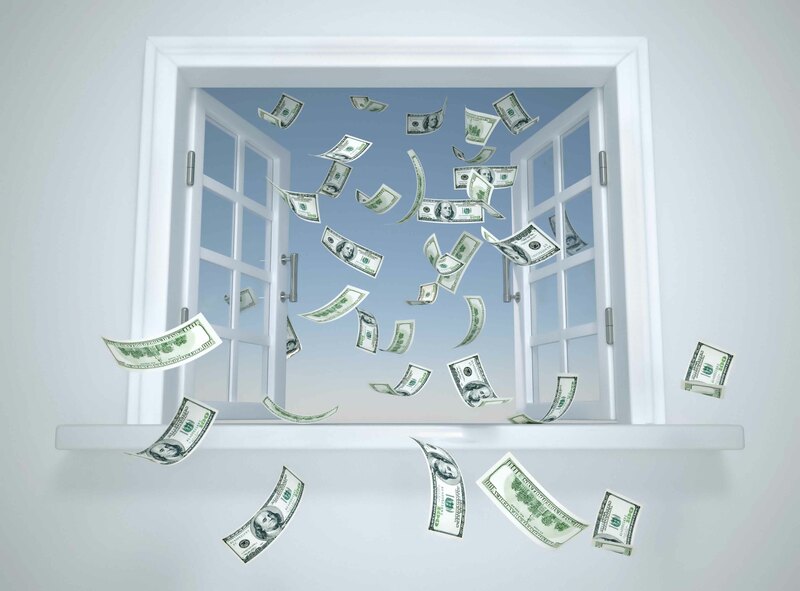 Two areas where many channel incentive programs such as Rebates are off target, include requiring the same % revenue attainment goals for all partners, and limiting access to incentives to a select group of top tier partners only. These two design flaws cost channel organizations lots of potential growth. 1)Problem: Requiring rigid percentage growth targets vs. previous periods (lower partner participation rates): Typical channel Rebate program design requires a rigid percentage increases vs. previous quarters. This approach will discourage partners that had big prior quarters and encourage partners that had lower prior quarters. Use of rigid percentage rebates (e.g., 10% increase generates a 1% rebate at end of quarter, etc.) only focuses on a narrow set of partners where these goals align with their priorities. Solution: Allow partners to design-their-own plans, MBO goals and incentive programs (higher partner participation rates): This approach will dramatically increase the number of partners that are willing to participate because they can set goals specific to their unique and specific businesses. This type of incentive program design will also generate much greater partner ownership and commitment levels of the program. 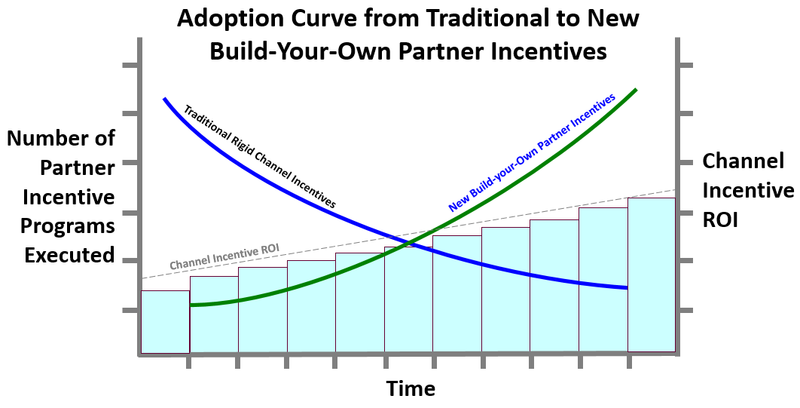 2)Problem: Limiting access of incentives to select groups of partners (missing many high growth potential partners): Many channel incentive programs simply target top-tier partners because they are perceived to represent high growth potential. Often, the greatest growth potential is with tier 2 and 3 -level partners, which have not been activated or historically motivated to invest in growing your brand. The new “design-your-own” incentive program model is a win-win for vendors and partners. Vendors can unleash new latent growth potential in their channel network and also gain greater commitment from participating partners. The new best practice incentive model operates similar to MDF where partners can propose or chose incentives from a selection of pre-packaged rebates promotions, as a part of their growth plan. These revenue-based incentives are all structured to accommodate the sales cycle, in order to encourage partner uptake. Partners may also elect to include a reward promotion for their sales team, ensuring all stakeholders are aligned and on the same page. Partners can then design/chose both performance levels and payouts. Channel executives are able to generate much greater commitment levels from their partners and partners are able to design/chose programs that align closely with their goals. This may be radical thinking, but it can be a huge win for partners, partner sales directors, partner sales executives and suppliers at the same time. 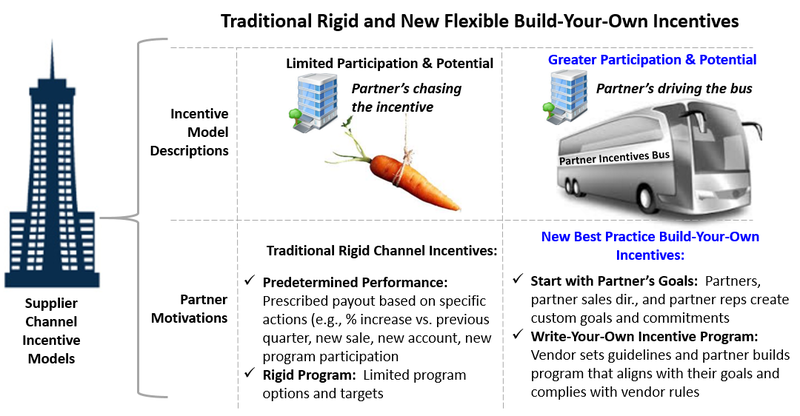 Traditional channel incentive programs are designed to motivate specific behaviors that are important for a vendor – regardless if it is a priority for the partner. These are typically associated with a new product launch, vertical market plays, or end-of-quarter revenue goals to align with corporate goal achievement. Partners are given the option to take advantage of these incentive offers or simply ignore them. 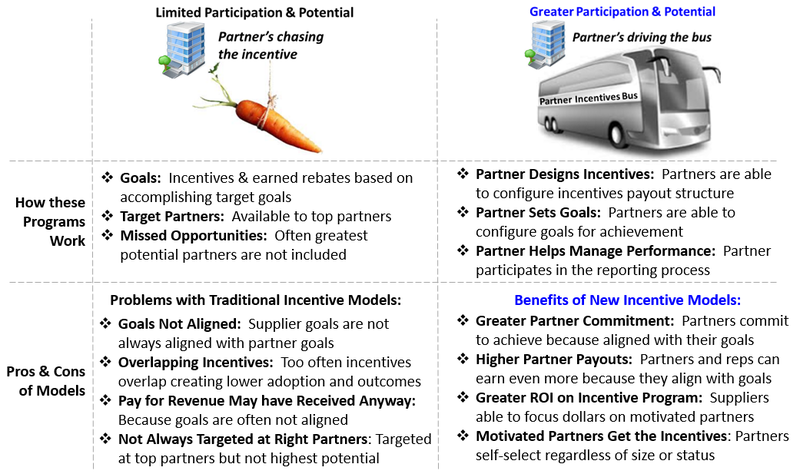 As a result, traditional incentive programs gain a mixed review from partners. When they incidentally align with the partner’s goals they are embraced. But when they don’t, they are not adopted as a part of the partner’s growth strategy. The new best practice model allows partners much more flexibility to select, design, and implement incentive programs that align with their goals. They also allow partners to establish performance minimums and commit to invest in building the supplier’s brand to achieve the incentive program requirements. How do Build-Your-Own Channel Incentives Actually Work? 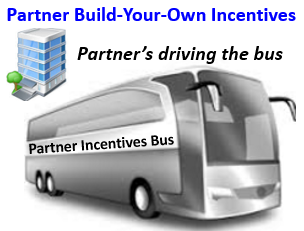 Partner build-your-own incentives will not only generate much greater partner participation rates and revenue contribution but can also be profitable for the sponsoring vendor. Partners are guided through a planning workflow to create their own custom program, lead waterfall, sales pipeline, revenue, budget, ROI and payout forecast upfront. This gives partners and vendors a clear picture of what each partner’s incentive design will yield in sales, expenses and ROI. 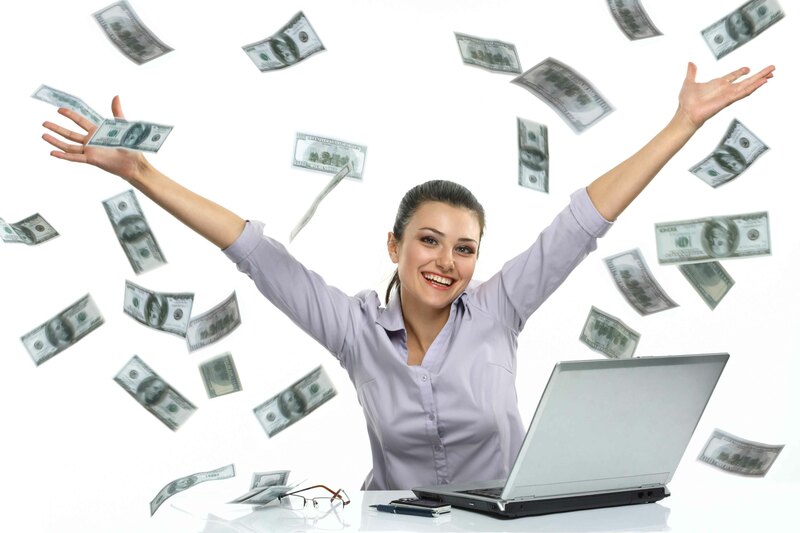 It also allows partners the ability to simulate different payout levels. As long as the sponsoring vendor’s ROI requirements are met it will be approved. Why Sponsoring Vendors Like Build-Your-Own: As long as ROI levels are achieved, they are able to get much greater partner participation rates and much higher revenue contribution. Build-your-own incentives will win the heads and hearts of your partners once they understand the power of customizing them around their business goals. Partners that are early program adopters will build business growth plans coordinated with MDF and incentive programs for a unified growth program. Your partners will see the power of a coordinated sales, marketing, and incentive program all aligned at supporting business growth goals for the partner. Most channel executives know that they cannot abandon their traditional incentive programs immediately – it takes time to transition organizations from the entrenched old model to the new partner build-your-own model. Here is a typical adoption curve that highlights overall incentive program ROI as channel organizations transition to a higher percentage of build-your-own. There is a lot of inertia behind traditional partner rebates designed to achieve standard growth goals. From the boardroom, these seem like efficient strategies to drive growth at the end of a quarter. However, when they are delivered to a network of channel partners with different needs and goals, their efficacy and adoption drops significantly. Rolling out build-your-own incentive programs on a parallel path while an organization gradually moves away from traditional rigid programs will generate consistent growth in channel incentive ROI and revenue contribution. Plus, your partners will become your best friends because they are able to use your incentive programs to target their own growth goals and priority market strategies. This topic is close to my heart as I was involved in many hundred of channel incentive campaigns throughout my career. And I fully agree that many/MOST do not work SPECIFICALLY BECAUSE THEIR DESIGN FORCES THEM NOT TO WORK. But that was just 1 example of many, many hundred. My next favorite example is when a program was announced, but the was an error in the decimal point’s location… used to calculate the prize money.